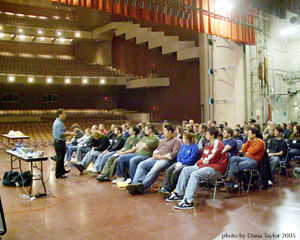 For over 30 years Sapsis Rigging has led the effort to promote training and safety in the entertainment industry. Our programs are designed to address the ever changing technology in rigging and stay current with new standards and regulations. We feature a flexible curriculum, tailoring the sessions specifically to the needs and requirements of the attendees. Arena Rigging - Understanding chain hoists, truss and the forces involved with using them. Fall Arrest Systems - Staying safe while working at height. Hardware - How to choose and use the right materials. Rope, Cable and Slings - Matching the gear to the application. Fittings - Keeping equipment connected safely. Full-day and multiple day sessions are available depending on desired and required curriculum. 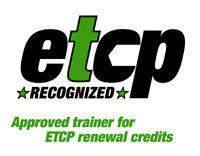 *ETCP certificants who take courses from ETCP Recognized Trainers will receive twice as many renewal credits.